Are you interested in replacing your old single windows or double glazing so that you can keep warm and reduce bills all at once? With Quotatis you'll be able to assess up to four businesses for the best deal in Wiltshire. New double glazing is amongst the most widely used insulation techniques homeowners can take advantage of. The basic structure is two panes of glass divided by an efficient gas spacer. This spacer, normally Argon, Xenon or Krypton, is still so heat can't move through and escape the property. As such, heat is instead kept in the house, keeping you warmer all through the year. In the same way, through the hotter summer months heat is kept out of the house, making certain you're cooler. Because of this, you're able to cut down heating bills by as much as £200 each year. The environment advantages are also rewarding. Since there is little need to turn up the central heating boiler heat, fewer carbon dioxide emissions are produced and emitted into the atmosphere. To start benefitting from efficient house windows and reduce your heating bills every year, complete our online form and review quotations from as many as four trustworthy double glazing firms. The ceremonial county of Wiltshire is situated in the south west of England, neighboring a variety of counties including Dorset, Somerset and Hampshire. The district is most famous for housing the historical Stonehenge and Avebury stone circles. Having a population of around 600,000, Wiltshire has a small population density of only 380 inhabitants per square mile and is positioned 34th in England. Coming from a review in the early nineties, 98% of the population were born and raised in the region whilst nearly 20% had been over sixty-five. Increase the value of your household with good quality house improvements from vetted industry professionals in Wiltshire. Double glazing is an excellent purchase if you would like lessen bills and keep your home warmer all year round. New windows are ranked from G, the least efficient, to A, the most efficient. The more efficient your house windows the more you'll save. Get the very best replacement windows businesses in Wiltshire by using Quotatis to check quotations. 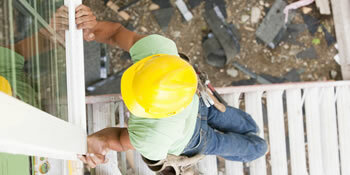 You can rest assured of having a trusted and trustworthy company to finish the work. Chose not to make an appointment. Too pressured to sign there and then, no time to consider. Quotatis introduced us to suppliers we wouldn't have thought of approaching. Helpful and a very fast response. Excellent. Thank you. We recorded 9,273 requests for house improvement quotes in Wiltshire. Of these price requests the amount of upvc double glazing quotations (type: A graded upvc double glazing, brand new house windows, replacement windows etc..) was 90. Quotatis were capable to match these consumers with as many as four appropriate contractors who were available for work in Wiltshire at that time. Request a free home survey from reputable companies in Wiltshire. There are lots of types of home around the United Kingdom for those who have various family sizes and yearly salaries. Typically the most popular houses is commonly terraced properties and semi-detached properties, generally simply because they're less expensive and easier to fit into regions including cities where space is limited. Other types of home in the UK include detached homes and small scale houses including bungalows and flats. It's necessary to increase the value of your household and improvements are the best way to do this, regardless of whether it's with the installation of a conservatory or simply cosmetic changes. Regardless of the work you need completed in your property, do a comparison of quotes from respected businesses using our easy and quick service. Most houses throughout the UK will have a central heating system of some sort, no matter whether it's gas, oil or perhaps a biomass fuel. If you don't have a central heating system, it is likely you use heaters to keep warm, powered by electrical power. Changing to central heating is going to be a lot more efficient for your home and you can save hundreds of pounds every year. See beneath how many properties are central heated in Wiltshire.